The purpose of vertical cutting dryer is help oil rig to meet and excess the current and upcoming environmental regulation and control the operation cost effectively. Separate the solids contents in the drilling fluid will maximum the life use of drilling fluid yet the solids remove drilling fluid need to be properly process so it will not contaminate the earth soil by removing moisture as much as possible. The vertical cutting dryer working concept is similar like garment washer in high speed spinning mode. The inside of the vertical cutting dryer contain the screens to filter the solids. Yet in continues high speed spinning usage, the screen often get clogged and need to stop during the process. To encounter this issue, GN Solids Control’s vertical cutting dryer feather air knife inside the dryer to prevent clogging the screen. Air knife is a high compress air system blow off liquid and debris wile object that need to be process in continuous moving motion. The “knife” produce uniform sheet of laminar airflow pressurized air containing a series of holes or continuous slots through which pressurized air exits in a laminar flow pattern. This impact of air can be from mist breeze to high velocity without making contact with object. Air knives remove liquids, control the dense of liquids, dry the liquid covering, remove solids particles, cooling the surfaces or create a press force to assist in the mechanical bonding of materials to the surface. Electrical currents from anti-static bars can also be injected into the exit air knife stream to eliminate the static electricity charge on some surfaces. The most common use of air knives is to contain or remove flowing materials (liquids or solids) from the surface of material. 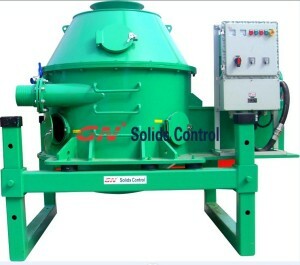 The applications include drying solids to prevent solids stick on the screen. They can also different temperature air to a surface, or create an invisible air barrier to separate heated or cooled environments. GN Solids control can provide you high quality vertical cuttings dryer and best after sale service. I would love to win this cool prize for my best friend who is due to have her first baby soon and stock it full of my fave esnsiteal travel items. She gave me a great nappy bag when I was pregnant, so to give her a Singapore Sling would surely make up the favour!